Your Plettenberg Bay Accommodation - Book Now! Bella Manga is a paradise for eco-enthusiasts, a beautiful peaceful haven. Close enough to the white sandy beaches of Plettenberg Bay for a morning on the beach, but far enough to retreat from the hustle and bustle. Return to relax next to the huge saltwater pool; or take a stroll or a bike ride around the 40ha farm. We are child-friendly, and kids can run around in a free, safe space. 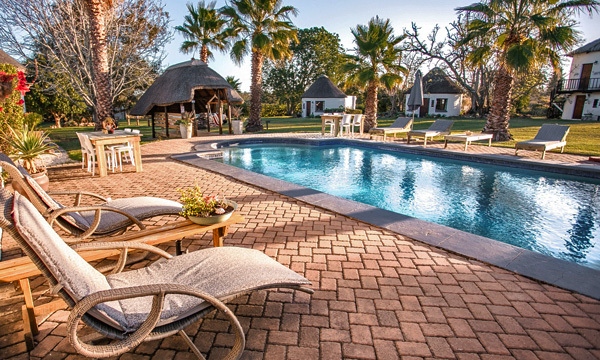 Explore the farm, feed the farm animals, enjoy the jungle gym, do some fishing in the dams or splash in the pool on a hot day. Kids fall into bed tired and happy after a busy day in the clean, fresh air. The Old Dairy guest lounge & games room are communal spaces where guests can relax, watch TV, play board games, darts or pool, or just huddle around the open fireplace on cooler days. Guests also congregate around the outdoor open fire pit under the beautiful stars and romantic African moon. Play in Nature in Plett! The Plettenberg Bay region is surely home to one of the finest collections of hiking trails in the world. This is where the coastal platform narrows on the Garden Route, bringing the mountains near to the sea. Deep and ancient river gorges, evergreen forests, colourful fynbos and a spectacular stretch of coastline provide the ideal location for hiking & biking enthusiasts. There are a large variety of hiking and walking trails in the region including : Kranshoek Coastal Walk (a 3km or 9km option); Robberg Nature Reserve (2.2km, 5.6km or 9.2km options); Hikers Paradise Trails (2km, 3.5km, 5km or 7km options); Stinkhoutkloof Trail (8.4km). 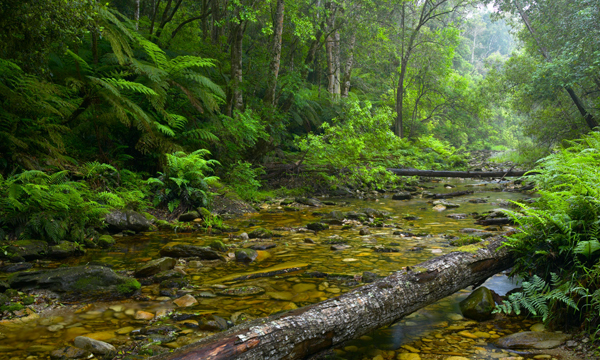 Multi-day trails include the famous Dolphin, Otter & Tsitsikamma Trails. Mountain biking is another popular activity in the area. Just a few of the mtb trails: Plett to Viewpoint (40km, 525m); Cairnbrogie Coastal Route (8.5km, 100m); Single Track Playtime (25km, 435m); Plett Game Reserve to Buffelsnek via Uniondale rd (49km, 1008m); Plett Game Reserve to De Vlugt return via Buffelsnek (84km, 1831m); Wittedrift to bottom of Buffelsnek (47km; 860m); Keurbooms Loop 1 (33km, 870m); Keurbooms Forest Loop 2 (22km, 400m) & a variety of routes within Sanparks Diepwalle. Plettenberg Bay Game Reserve offers 2200 hectares of indigenous beauty just a few minutes from Bella Manga. View a large variety of wildlife up close from an open game drive vehicle or on horse back. Excellent game viewing and birdwatching is also possible at Buffalo Hills Game Reserve. 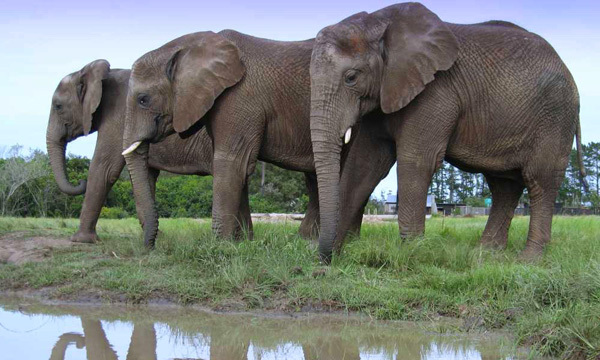 The Elephant Sanctuary in The Crags near Plettenberg Bay offers an Elephant Experience of a lifetime, specializing in up close and personal educational tours. Visitors get to touch, feed, walk trunk-in-hand with or even ride these magnificent animals. Monkeyland is the world's first multi species primate sanctuary where monkeys, apes and lemurs roam free in the forest, viewable on guided tours. Close to it, visit the Snake Park or Birds of Eden which features over 2000 birds in a free-flight aviary larger than the Millennium Dome. Jukani wildlife sanctuary is where you'll see carnivores of all shapes and sizes, from around the world. Tenikwa Wildlife Awareness Centre offers a truly unique wild cat Experience. Participate in a guided tour to meet the captive-bred felines or book to walk the cheetahs yourself. Boating: Paddle steamers, pleasure boats, catamarans & luxury yachts! Keurbooms Ferries, Springtide Charters, Ocean Odyssey & the Featherbed of Knysna will make this a memorable experience. 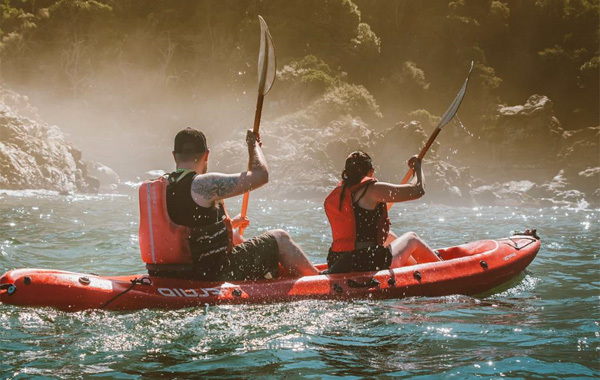 Canoeing, Kayaking & Surfing up the Bitou & Keurbooms Rivers, on the Knsyns Lagoon, or into the Indian Ocean with Dolphin Adventures, Surfing Rentals & Real Cape Adventures. Whale and dolphin watching in Season (June through November) are a Must Do! Check out Ocean Safaris, Ocean Blue Adventures and The Explorer. Prefer diving & snorkelling? Experience marine magic on Plettenberg Bay's underwater trails with the Beacon Island Adventure Centre or Tsitsikamma Divers. Learn to Surf Plett is in Plettenberg Bay offering surfing and stand-up paddle boarding instruction and lessons to all ages. Enjoy a half day or full day fishing trip with an experienced charter or spend your time fly-fishing and relaxing with the family! 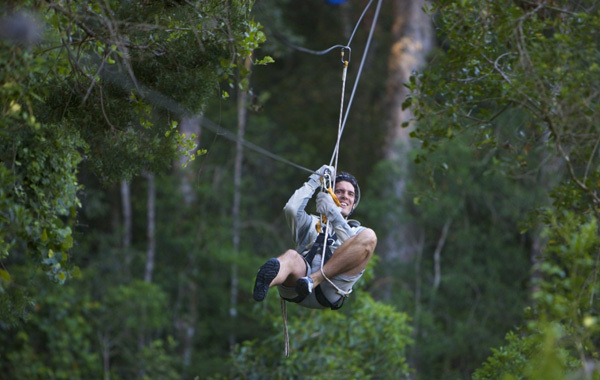 Treetop Canopy Tours in Tsitsikamma offers an unforgettable 3 hour adventure 30 metres above the Tsitsikamma forest floor; or over a waterfall with Tsitsikamma Falls Adventures. Bungy Jumping & Bridge Walk - Face Adrenalin will take you to the world's highest bungy jump (216m with a 7 second free fall) & Africa's largest bridge at Bloukrans River Bridge. Canyoning, Kloofing & Gorge-Walking - Experience deep gorges, optional jumps and AfriCanyon’s unique rock-pool zip-line. Discover the fun and exhilaration of Canyoning/“Kloofing” in the amazing Crags. All professional equipment will be provided and bookings are essential. Minimum age 10. Skydiving, Microlights & Scenic Flights with Skydive Plettenberg Bay, Airsport Africa & African Ramble. Breathtaking views of the Paradise Coast from the air! Knysna Oyster Festival - July: this is one of the most popular festivals in South Africa and the prime destination for runners, cyclists and mountainbikers. There are a variety of exhibitions, fairs and gastronomic competitions to delight. 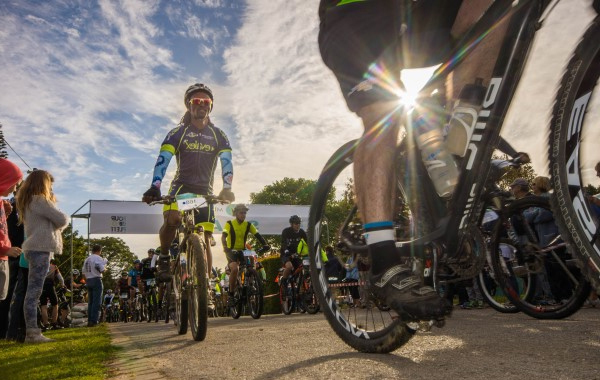 Dr Evil Classic, MTO Tour de Plett, Karoo to Coast Mountain Biking Events - September/October: these are key event on the mountain biking calendar. Plett Wine & Bubbly Festival - November: fun-loving connoisseurs mark this festival! "We had 5 great days in the Bella Manga. Jenny & Chris are very welcoming and helpful. The breakfast is delicious with a lot of love made. We will definitely be back!" "Wish we had booked for longer - everything was so perfect and we were incredibly well looked after. The rondevels are very comfortable and set in safe, quiet and peaceful surroundings, so we slept really well. The beds are really big and comfortable, showers excellent. We ate in some fantastic places in Plettenberg,- only about 15/20 mins away - lunch at Enricos followed by a beach walk to some caves and an arch was a highlight. We followed the 5k route around the farm for a morning run which was on grassy tracks and really idyllic. Excellent breakfast was served in a lovely spacious barn which opened out on to beautiful countryside. The pool and games area is also well thought out and kept the children occupied. We really would have loved to have stayed longer and there is so much to do in the area, we hope to go back! We thought it was very well priced compared to other places we had looked at and had all the essentials for an excellent stay - quiet, comfortable, idyllic setting, lovely clean pool." Plett offers a host of other activities as well. Golfing in Plettenberg Bay, Polo, Wine Tasting (Plettenberg Bay has been awarded a Wine of Origin status), Horse Riding and forest horse trails. For longer stays, consider day trips to the spectacular Prince Alfred Pass, or visit the world-renowned Kango Caves, or Mosselbay with its archealogical site. Not to mention the host of truly magnificent restaurants we can recommend! Chat to us for more info on whatever tickles your fancy!